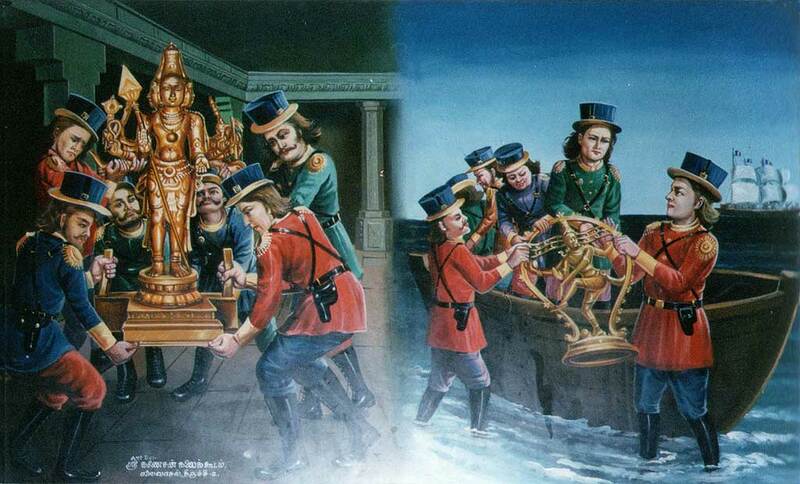 Dutch marauders carry away the icon Shanmukha, thinking that it was made of gold. In 1648 the Dutch left Tiruchendur, taking with them all the temple icons, and demanding an enhanced ransom of 100,000 reals. They carried away the icons Shanmukhar and Siva Natarajar, thinking that they were made of gold.